Allende 403, Centro, Morelia, Mich.. 58000. In 1781 started the construction of the building where it established the Office for the rent of the tobacco or Factory. 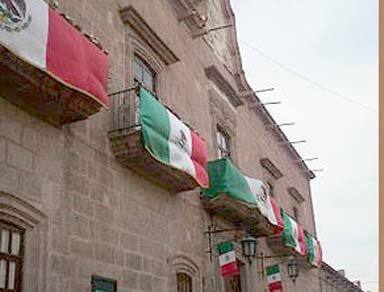 There, the October 19, 1810 Don Miguel Hidalgo y Costilla draw up the edict of the abolition of slavery in the New Spain. When Independence end, it became the seat of the State Government. 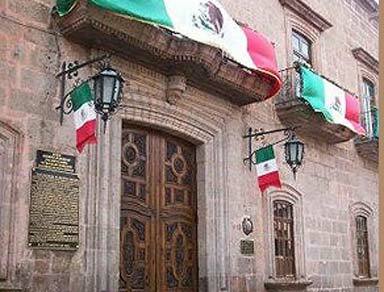 Later, in 1846 Don Melchor Ocampo, governor of Michoacan, set up his residence there and he managed that Federal Government gave it the to the state so that from 1856 it became City Hall. 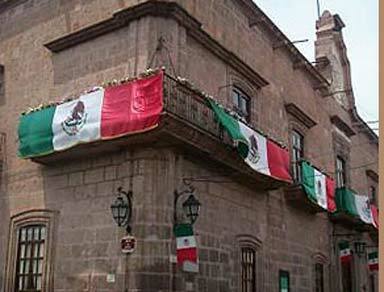 The building is typical baroque style of the city and has an octagonal courtyard surrounded by arcades and a stairway where there is a great shield of the city.